But will new gun control laws be any more successful than previous laws that have never really lived up to their advertising as “gun violence prevention” measures? The answer can be found in weekly homicide reports from Chicago, Detroit, Baltimore and Washington, D.C.
And while the gun prohibition lobby may be feeling its oats, the National Rifle Association reported that its annual meetings and exhibits “has been named among Trade Show News Network’s Top 25 fastest-growing shows in the U.S.” Earlier this year, NRA attracted 87,154 visitors to the annual meetings in Dallas, Texas. There were more than 800 exhibitors, a full roster of workshops and seminars, plenty of entertainment, a visit by both President Donald Trump and Vice President Mike Pence, and lots of other activities. Next year’s gathering will be in Indianapolis April 25-28. The Pew story acknowledged that “State lawmakers still managed to expand gun access with at least 10 new laws in seven states.” Among those advances were allowing guns in K-12 public schools and strengthening “stand your ground” laws, the story noted. 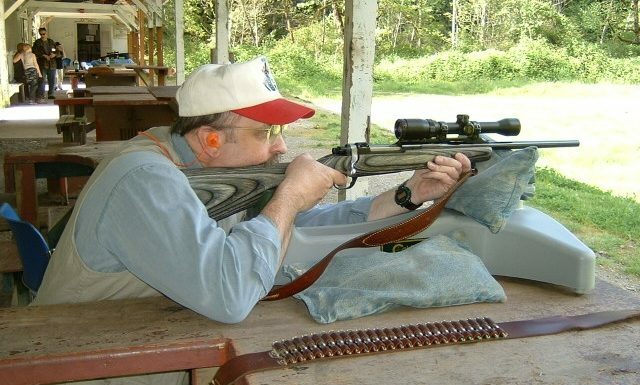 This month, according to the National Shooting Sports Foundation (NSSF), the Trigger Time Sweepstakes should attract lots of attention and participation. The “LetsGoShooting.org” website will point people to shooting ranges and/or firearms retailers in their vicinity. Earlier this year, the U.S. Fish & Wildlife Service announced final annual apportionments to state fish and wildlife agencies under the Federal Aid to Wildlife Restoration Act, also known as the Pittman-Robertson Fund, of $797,160,652, which is revenue from a special excise tax on firearms and ammunition that was adopted in the 1930s. This money is used with matching funds to restore and maintain wildlife populations and habitat, and all shooters, not just hunters, contribute with their purchases. Since the fund was established, billions of dollars have been sent to the states to support wildlife programs. Anti-gunners and anti-hunters can make no such claim.